Read the memories shared at Sister Bernice’s funeral. 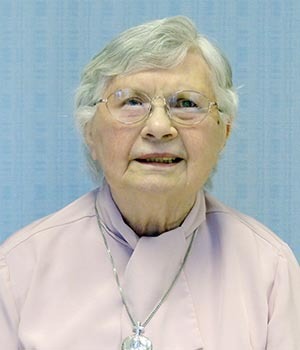 Word has been received of the death of Sister Bernice Marie Hollenhorst, CSC, in Saint Mary’s Convent, Notre Dame, Indiana. 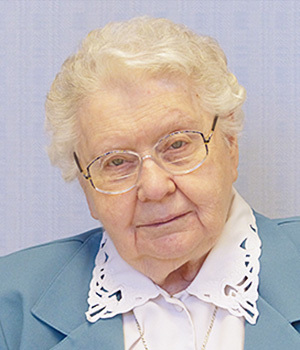 Sister Bernice entered the Congregation from Saint Cloud, Minnesota, on July 31, 1949. Her initial profession of vows took place on August 15, 1952. 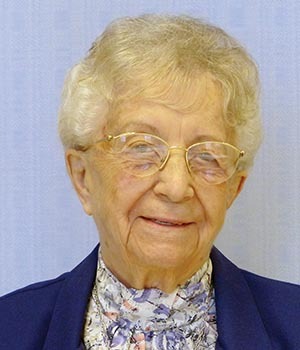 At the end of the academic year in 2002, Sister Bernice Marie Hollenhorst retired as the seventh library director at Saint Mary’s College, Notre Dame, Indiana. 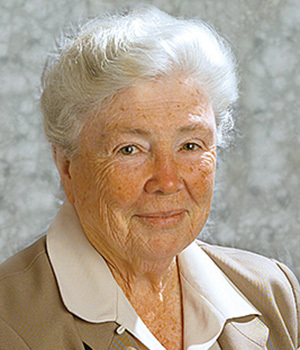 During her 27 years of service as a librarian at the college sponsored by her religious congregation, the Sisters of the Holy Cross, she also had sought funding for a new library, oversaw its design and construction, and supervised the daily maintenance of Saint Mary’s award-winning Cushwa-Leighton Library. The Hollenhorst siblings—she being the eighth in a family of 10—would have named the state-of-the art building after their sister! Under her leadership the library was always at the dynamic center of the college, exemplifying the core value of learning. Scholars-in-residence, such as Sister Joan Chittister, OSB, were grateful for her hospitality and that of her staff “who broke library rules in my behalf” and whose attitude was nothing like “the standard library stereotypes, leaving me with fond memories enough for a lifetime.” Sister M. Rose Anne (Schultz), CSC, the college’s vice president for Mission in 2002, said Sister Bernice’s “gracious manner and bright smile, her willingness to go the extra mile” were her hallmarks. After a welcome year’s sabbatical of spiritual renewal, Sister took those library and organizational skills with her into her third ministry—as an assistant archivist for 10 years for the Sisters of the Holy Cross at their motherhouse, Saint Mary’s. Sister Jeanette Fettig, CSC, said, “When I was archives director she would do anything you asked. 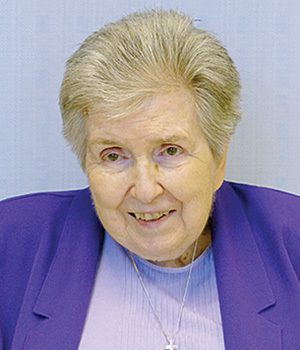 She put together good research on the history of the campus buildings which we still turn to.” Sister Bernice also served for several years as secretary for the Holy Cross History Association Conference. 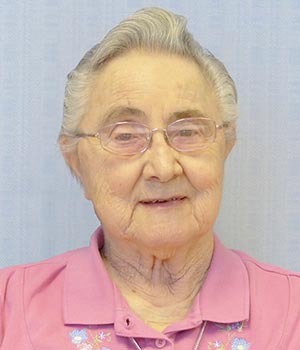 It was in 2013 that Sister Bernice “retired” at Saint Mary’s Convent, Notre Dame, and devoted her remaining years to the ministry of prayer until her death at age 88 in the week before Pentecost. 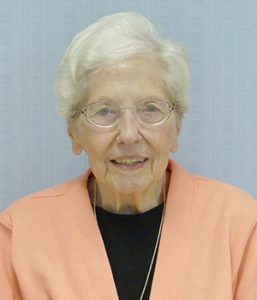 Few realize that Sister, as a sophomore staff student at Saint Mary’s College, was influenced by Sister Maria Pieta when Bernice applied to enter the Congregation in 1949, not to mention that her birthday was also the patronal feast of the Sisters of the Holy Cross, Mary, Mother of Compassion. 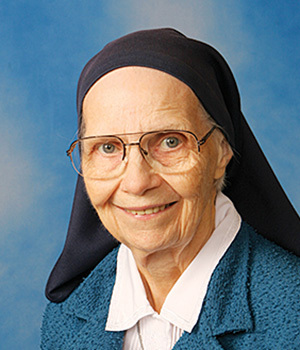 Ironically, it took 13 summers for Sister M. Josephina, as she was then known, to complete her Bachelor of Arts degree at Saint Mary’s College, class of 1960. 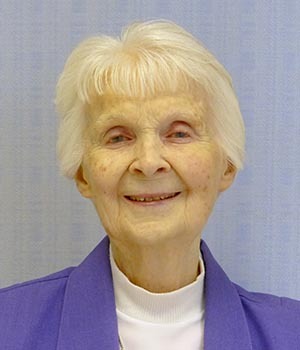 The protracted study for sisters was common in the post-World War II era as part of the training for her first ministry—23 years in elementary and secondary education, mostly in Indiana and Illinois. She earned her Master of Arts degree in 1967 from Rosary College, River Forest, Illinois. Sister loved reading, even though her greatest regret as a librarian was having so little time to read. You may donate in Sister’s name to the Ministry with the Poor Fund.